Play night and day! It's easy to keep your eye on the ball with its high visibility, glowing neon green PVC panels. Alternate panels of high-tack cage mesh provide an extra good grip. 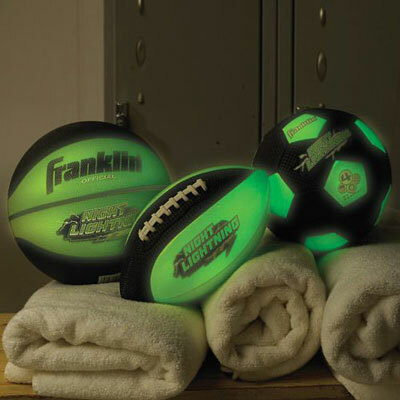 These Glow-in-the-Dark Sports Balls have a long lasting air retention bladder. For ages 5 and up.